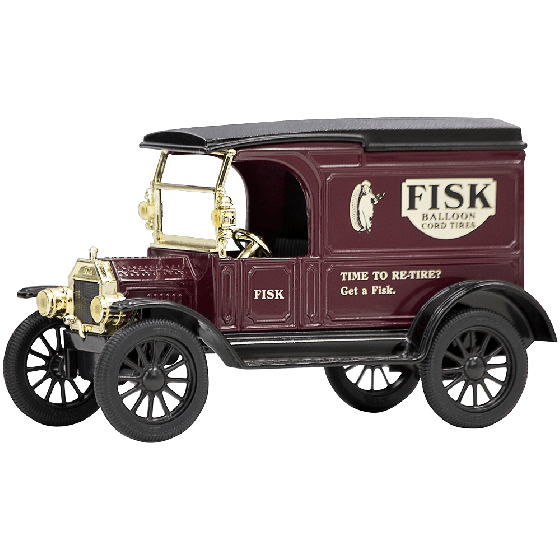 This is a Diecast Fisk 1912 Ford Model T truck bank in 1/25 scale. 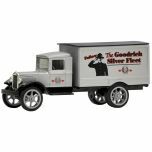 This truck is part of a collector series of diecast delivery trucks from Coker Tire Company. Ford proclaimed its 1912 delivery Model T "Tougher than any army mule and cheaper than a team of horses." A $700 price included windshield, speedometer, two gas lamps and three oil lamps, horn and a tool kit. It could carry two passengers and 750 lbs of cargo. 1913 was the last year that colors other than black were offered, and the protective closed cab was a welcome innovation. 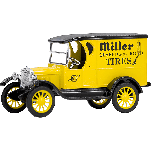 Although the company would later become one of the world's major truck producers, it stayed out of the truck business from 1914-1916. But that didn't stop customers from making their own trucks based on the Ford chassis. 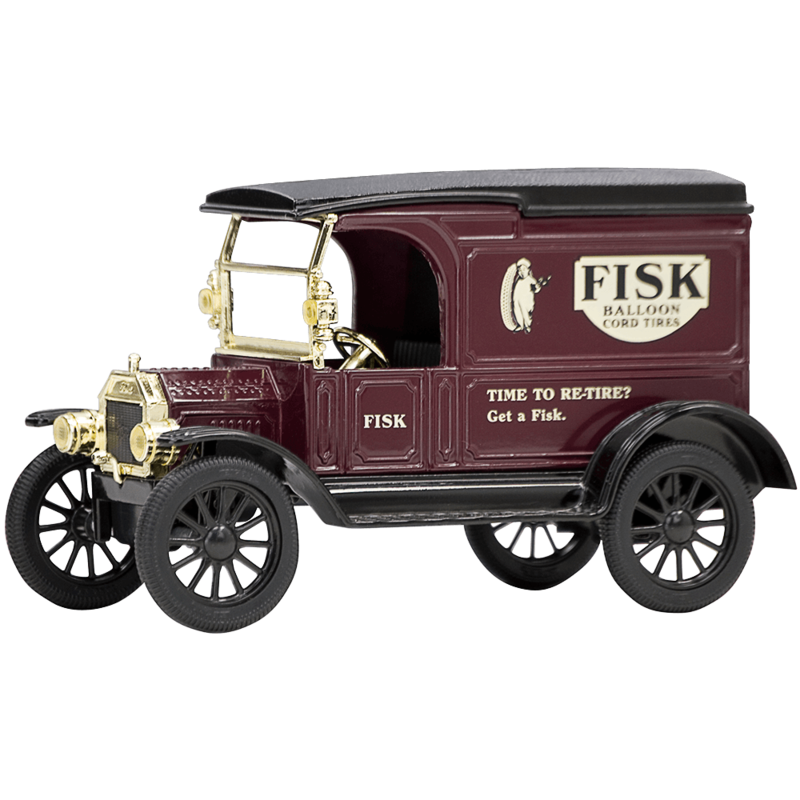 One demand for the Model T chassis was for ambulances in 1917, for World War I service in Europe and the US. Recommended for ages 10 and over. WARNING: Choking Hazard-Small parts.